Manufacturer of a wide range of products which include vibrating screen, wire mesh vibrating screen and stainless steel vibrating screen. We are recognized as an affluent entity, engaged in offering an optimum quality range of Vibrating Screen. The offered product is designed under the vigilance of our dexterous professionals using the finest quality components with the help of ultra modern techniques in compliance with the predefined international industry standards. Apart from this, the provided range of this product passes through different tests in order to make sure its high performance. The provided product is available in various technical specifications. We facilitate clients with the Wire Mesh Vibrating Screen that is manufactured using high-grade metals sourced from the credible vendors. Known for its anti-corrosive properties, it has fetched high demands. 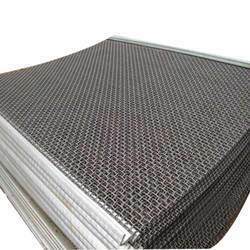 Owing to the smooth finish, durability and tensile strength, the entire range of the perforated sheets offered by us is immensely praised among the clientele, we hold. 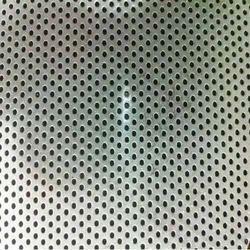 Stainless Steel Vibrating Screen are widely used in industries for roasting and sieving work. 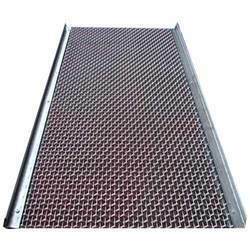 Available in different weaving patterns and stainless steel grades, these screens are high in demand for their excellent sustainability in the industries involving conditions like cold, heat, solvents, liquids, chemicals.